Leading Edge Landscapes enjoys creating the outdoor living space you want and works for your family. 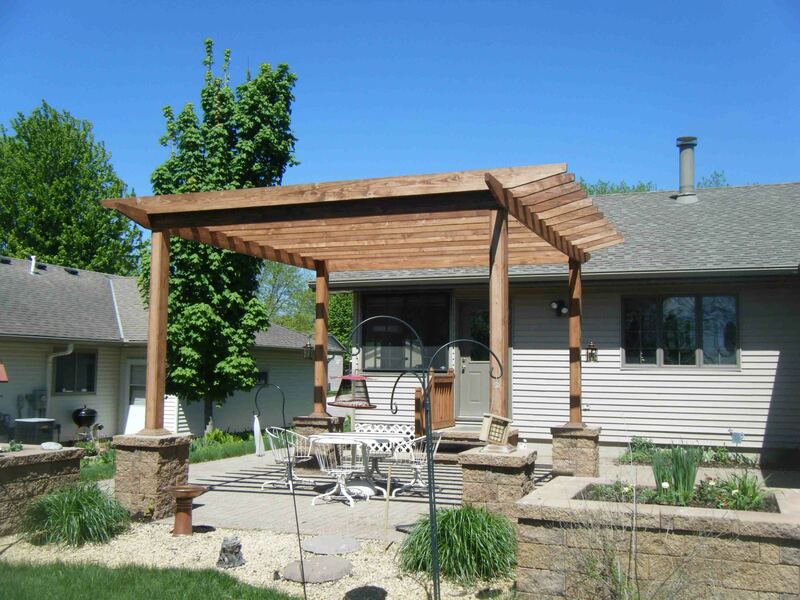 We have lots of landscaping ideas and one we want to talk about today is a pergola. 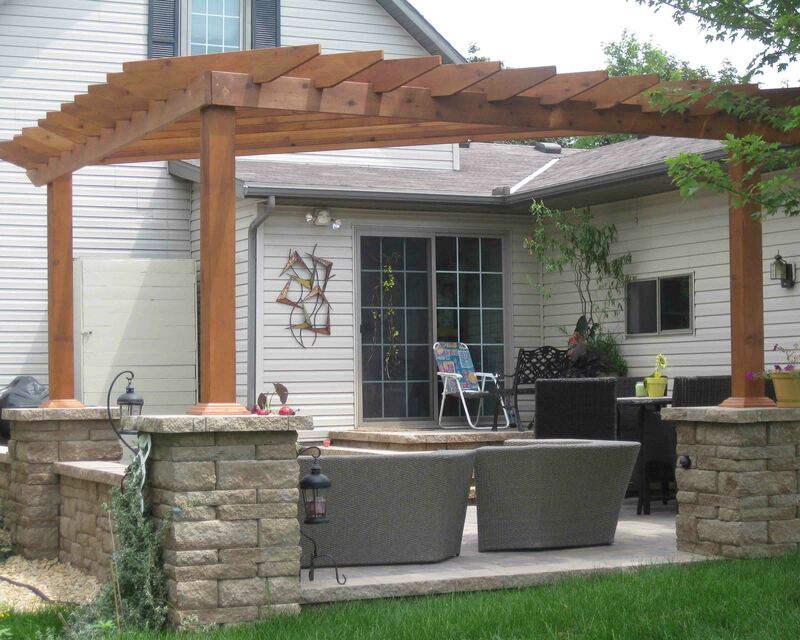 Adding a pergola can enhance your paver patio and bring a new element to your outdoor living area. These are some of the different pergolas we’ve added to customer’s backyards and you can see the statement they make and the beauty it adds. 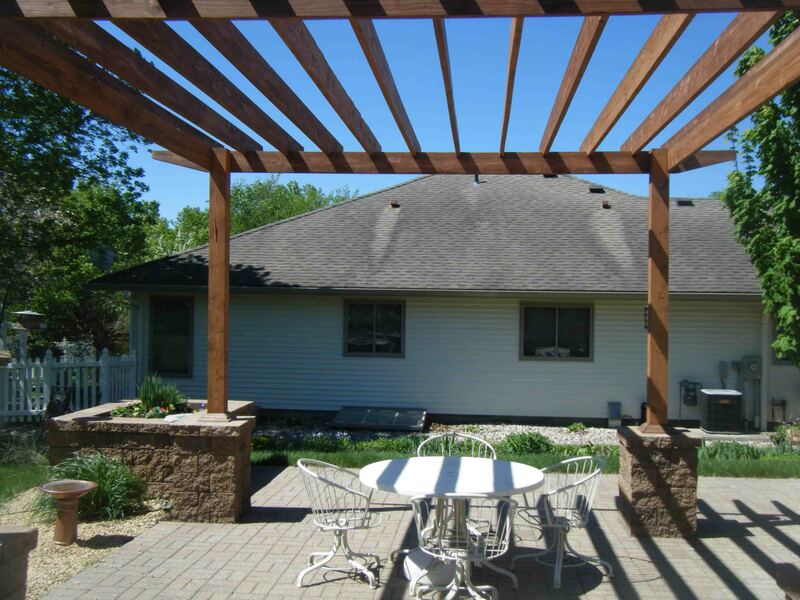 For this landscaping design, we designed the paver patio and built the pillars for the pergola to stand on. Such a beautiful design that really enhances and expands their outdoor living area. Great for entertaining and relaxing on the warm summer evenings. 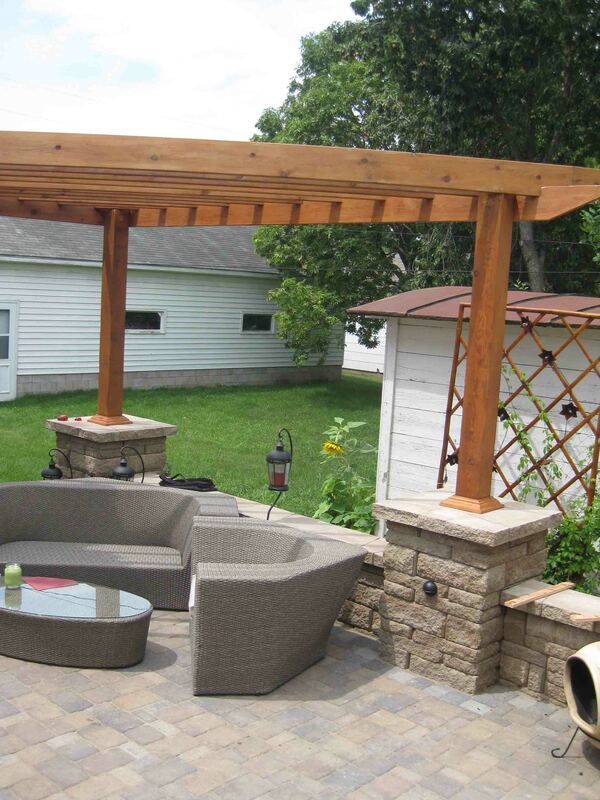 This pergola uses a triangle shape that is built on three block pillars. It makes for a nice, open area that is very welcoming as you step out of the patio door. For this landscaping design, we stood the pergola on four pillars and left the area open for the family to access other areas of their backyard. A great look and one you know the neighbors are talking about! 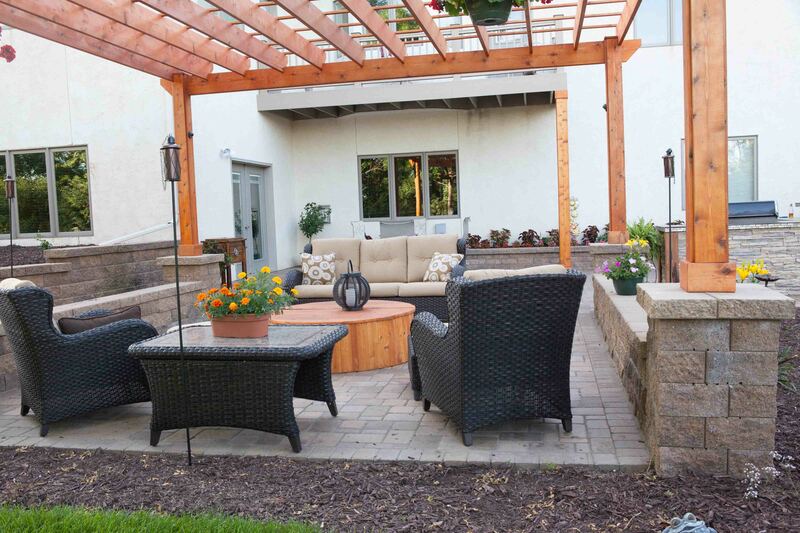 If you think a paver patio with a pergola would add to your outdoor living space, call Andy at Leading Edge Landscapes 507-276-8142 to set up a meeting today or visit our Contact Us page to fill out a form for him to contact you. We hope you enjoyed reading about these landscaping ideas about pergolas!